I had plans, big plans, but all that changed the night Bel Evans darkened my doorstep. Stan Remington is the go-to man. What he doesn't know about Onslow means one of two things: it doesn't exist or it hasn't happened yet. 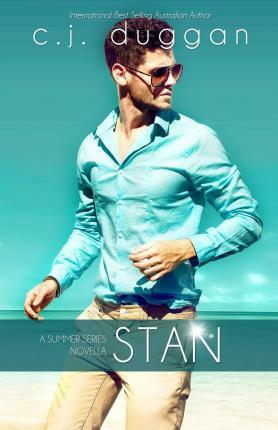 And when it comes to Onslow, for Stan, being an only child means a guilt-riddled sense of duty to help out at his parents' caravan park every summer of his life: same old town, same old story. Until Belinda Evans. The wild and insipid doctor's daughter who spends summer holidays with her family at Remington's Caravan Park, but she's not Stan's problem; that is, until she sabotages his planned weekend escape. Now Stan finds himself not only caretaking the caravan park on his own, but responsible for Bel as well. Just the two of them. Under the one roof. For one long, long weekend. In a world built by mundane routine and small-town boredom, this summer promises to be anything but boring.